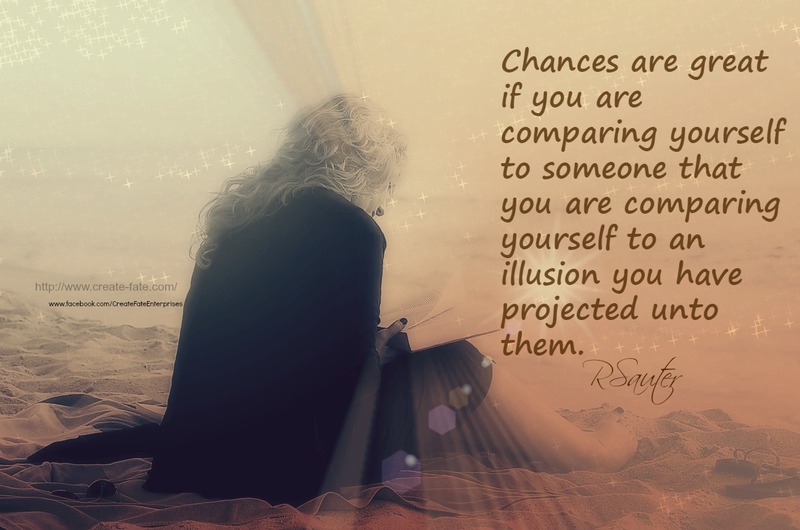 When we are comparing ourselves, our lives to someone else its often just an *illusion* we are comparing it to and not how their life truly is. We project how we think it is onto someone and then believe it! So the next time you compare yourself to someone remember this and it will help you disconnect from what probably is an illusion.